Production Expert | One Audio Interface Technology To Rule Them All - Audio Interface Poll Results - Is This What You Use? One Audio Interface Technology To Rule Them All - Audio Interface Poll Results - Is This What You Use? Some weeks ago we asked the audio community to tell us which kind of audio interface they use with Pro Tools, Studio One, Logic Pro X or one of the many other DAWs they used each day. 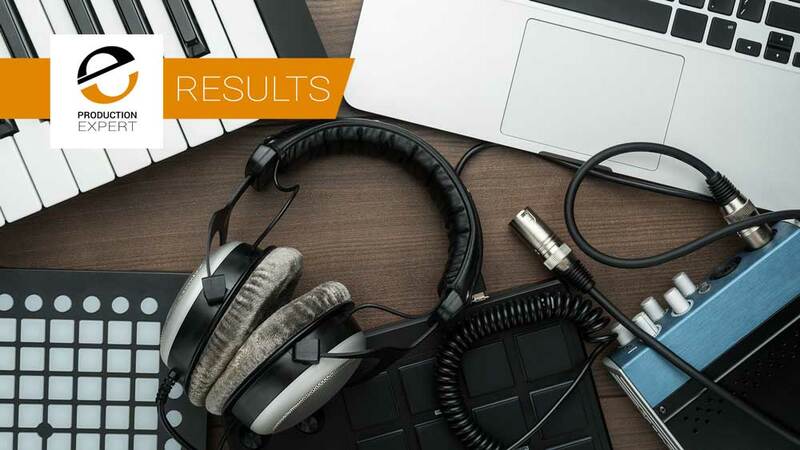 Over 2000 DAW users took the poll and the results are in, with one clear winner, what’s more to those of you who like to be ahead of the technology curve you may be disappointed, if not surprised. With over 54% of the vote USB was the clear winner. What Kind Of Audio Interface Do You Use For Your DAW? USB is sometimes maligned and often written off, just this week some criticised PreSonus for using the USB2 protocol on their new StudioLive 64S mixer, suggesting other technologies were a better option. Its ubiquity, being found on almost every computer on the planet, even a newer Apple Mac with a $5 convertor can still run USB over the USB-C ports. USB has a low cost of entry both in terms of the cost of the interface and the computer. USB is also largely compatible as you change your machine so if you have a USB2 interface it’s most likely going to work on your USB3 machine. Portability is also a factor, many smaller USB interfaces are bus-powered making them convenient for in-the-field work. It should hardly come as a surprise that USB is on over 10 billion devices worldwide, the invention of Intel’s Ajay Bhatt, USB didn’t make him or Intel a penny as they decided to make the patent royalty free from the start. Manufacturers of computers and interfaces want to keep royalty payments to a minimum as they increase the cost of devices, so many DAW users can thank Ajay and Intel for making USB free. There are some myths around USB2 too, for example whilst USB3 may offer more bandwidth there is no improvement in round trip latency, the stack on the computer determines that. FireWire can handle more data than USB2 theoretically but less machines are offering FireWire whereas USB continues to be featured on most modern computers. One concern expressed is the limitations of using USB2 for audio recording. The maximum USB 2 bandwidth shoud allow you to record about 40 tracks of 24-bit, 96kHz audio, if you set your sample rate to what many DAW users often work at of 44.1/48kHz then you can double your track count to over 80 tracks. Some brands have developed their own USB controllers and managed to push the USB format even harder, but even without doing that USB2 still allows most people to record 40 tracks at the same time, which is more than enough in 90% of the cases, of course this is theoretical as you need the audio inputs on the interface in the first place to be able to do that. As you can see from the rest of the results, Thunderbolt has made good ground with around 20% saying they use Thunderbolt, and then other formats such as DigiLink, FireWire, PCI and Audio over IP making up the rest of the numbers. It’s protocols like DigiLink and Audio over IP that give those users who need bigger track counts at higher sample rates the option to do this. Whatever interface you use, the good news is that there’s a lot of choice out there and certainly an interface to fit every need and every budget!